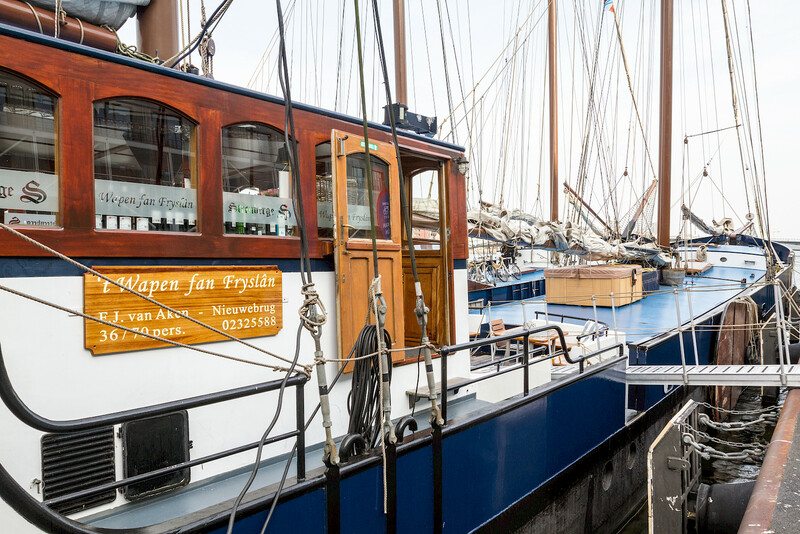 Get ready to sail the Wadden Sea in comfort aboard the WAPEN FAN FRYSLÂN, a large two-master schooner on the Dutch waterways. In 1965, the sailing ship was launched as a freight ship and then in 2003 it was completely transformed into a sailing passenger ship. 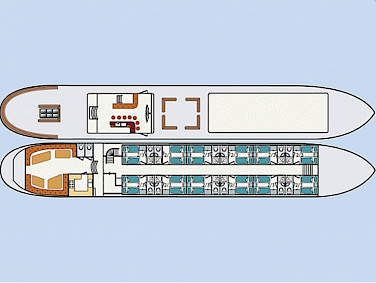 On board, you will immediately notice its warm and luxurious atmosphere. 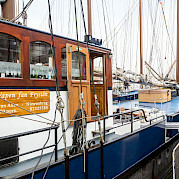 On deck there is a the large pilothouse with a cozy and stylish bar and seating area. The panorama windows offer a perfect all around view of the water. Sail surface: 550 m²- 5920 sq.ft. All cabins are spacious (ca. 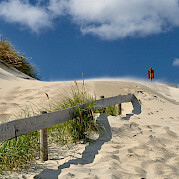 10 sq. m) and have two separate box spring beds (90x200 m) that can easily be transformed into a double bed. 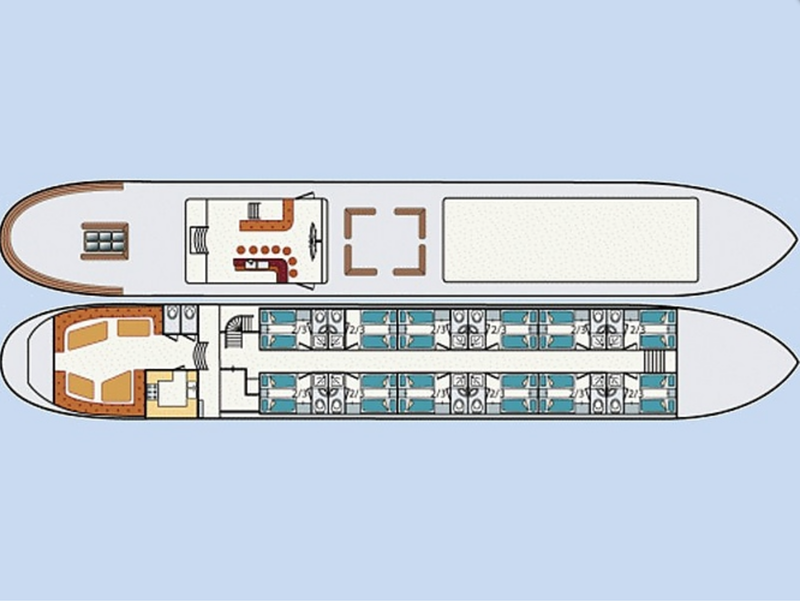 Each cabin has a porthole which can be opened and a folding bed which can be used for a third person, if needed.